I made ravioli pasta few days back and had some of the dough still around. Considering that I never found the flat noodles whenever I wished to make the malaysian style noodles I thought of it as a good opportunity to use up the dough. This dish was a huge hit at the dinner table, perfectly emulating the taste of what we usually have at the Bandra joint - Sahibaan on turner road, which I think serves the best chinese street fares. 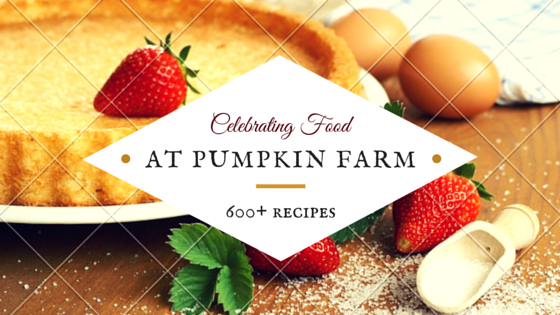 2) Prepare the dough, by taking the flour in a large basin and mixing the beaten eggs into it using a fork. Put the crumbly mixture in the fridge for 30 min. Take it out and knead well till it forms a soft pliable dough. Use some olive oil if required. 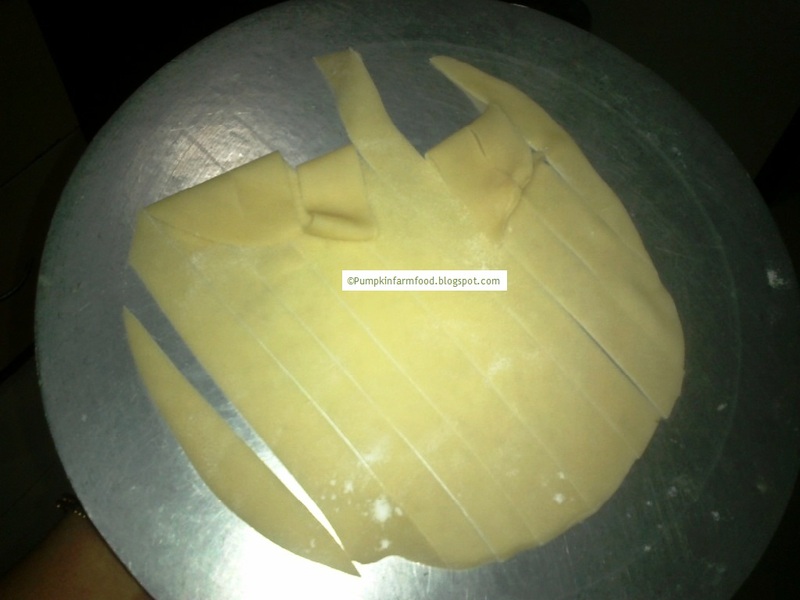 Roll out the dough as thin as possible and cut flat strips. The size will bloat in water so cut thinner than you want. 3) In a large pot, boil enough water to hold the noodles. Add a pinch of salt and let it boil again. Add the fresh noodles and when they rise to the surface pick them out and put in a colander. When all are done, quickly hold them under tap water so that they do not stick. 4) Grind the red chillies and garlic to form a chilli paste and keep aside. 5) In a large wok, heat some oil. On high flame add all the veggies one after the other and stir on high flame. (Keep the spring onion greens and spinach for the end). 6) When the veggies are half done add the noodles and stir quickly, add the soya sauce, red chilli paste, tomato ketchup and stir again. 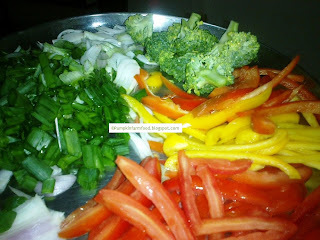 Add salt and black pepper after tasting and adjusting the flavors. 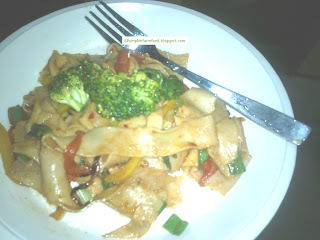 Serve hot, you wont need a gravy for this one as the noodles are fresh and have enough moisture. Looks nice and really different! looks good ! do link it to my GFF event too Pradnya ! Omg, u prepared ur noodles urself,thats truly incredible.. Awesome. Will try this next time I want the kids to eat healthy and they dont. Everything about this dish is mind blowing! Noodles from scratch, how cool is that?? I am bookmarking it! Wow .. noodles from scratch. That is one healthy plate. Yummy. wow!! you are so clever to prepare nodles at your own! 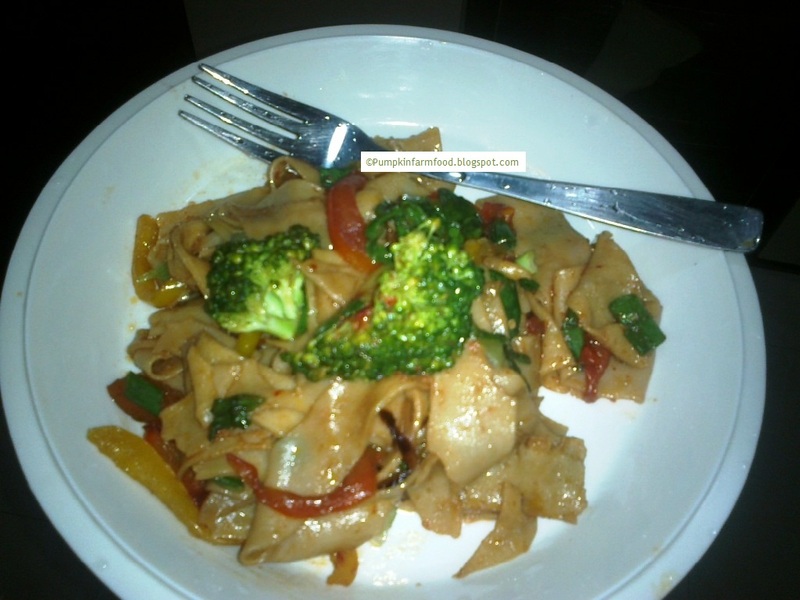 !I have tasted this type of strip noodles & I like it....This is a mouthwatering dish.. Thanks a lot for linking with Midweek Fiesta.Hope to see you on next week too….